What DO you do when you are feeling a bit blah and having a 'sorry for yourself' moment because your sister and niece have run away to the other side of the world? 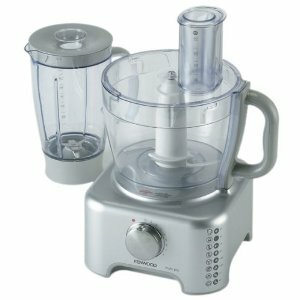 Well, you could make big eyes at your Programmer and he might take pity and say 'want to g0 shopping for a new food processor?'. :))) Wouldn't say no. My new toy is a Kenwood Multipro. It comes with a head-scratching array of attachments, some of which I'll probably live the rest of my life without knowing their function. However, I had one mission in mind. Nut butter. Buying nut butter is financially painful. You'd might as well just walk into the peace-love and tofu shop, open your wallet and say 'here, take it all'. My attempts to make it have been equally traumatic, and unsuccessful. However, now I have the machine, the correct gear for the job. The impossible has been made possible, albeit at an excessive level of decibels. After a few minutes of earsplitting nut grinding I perceived that it was going to take more than a few minutes, and went and found my earplugs. The neighbours have a baby, I hope she is a heavy sleeper. From nut to butter took about 15 minutes, which does not sound long, but I was beginning to wonder if it was ever going to happen. It did happen. Just like a bought one. 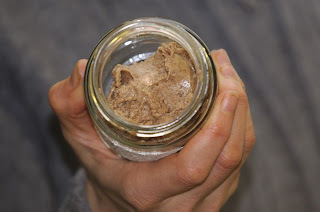 My next mission is to try sprouted almond butter. I have my almonds soaking, then they need drying, so it will be a few days. In the meantime, the above result should last me about ... 10 minutes.